Girl Writes Reviews: August Wrap-Up! Can you believe that August is over? It went by incredibly fast. But, I don't really mind. I'm ready for fall; it's my favorite season! I love the cool days, the pumpkin-flavored-everything, the boots and knitwear, and most importantly being able to cuddle up with a good book and a cup of tea on a chilly day. What about you? Are you going to be mourning summer or jumping around in the leaves in the coming months? Tell me in the comments section below! This August I read the ENTIRE Shatter Me series: Shatter Me, Destroy Me, Unravel Me, Fracture Me, and Ignite Me. Destroy Me and Fracture Me are two short novellas that provide readers with perspectives from two of the series' main characters, Warner and Adam. I'm proud to say that I read this series in a month, but to be honest it was just realllllllly hard to put down. I devoured these books. I loved them and definitely recommend to fans of YA dystopians. 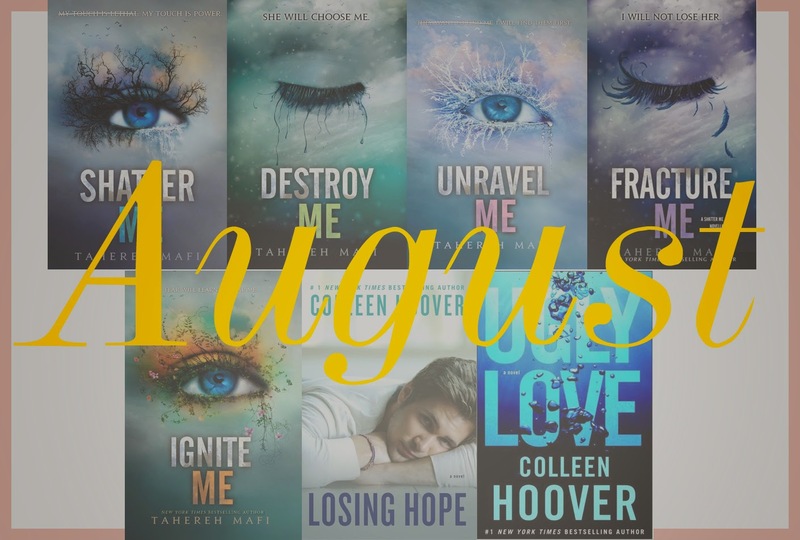 This past month I also read two books by Colleen Hoover: Losing Hope and Ugly Love. I had already read Hopeless, which is the prequel to Losing Hope. Losing Hope is the retelling of Hopeless from Holder's (the main character's boyfriend) perspective. The fact that Losing Hope was a retelling made it hard for me to get through, because it was kind of like reading the same book over again. However, it was still interesting to see things through Holder's eyes and learn a bit more about him. And then there's Ugly Love. I literally just finished this last night/early this morning so I'm still kind of in that world. My God, this book was good. SO good. Look out for my review of Ugly Love later this week for details on my thoughts about it! 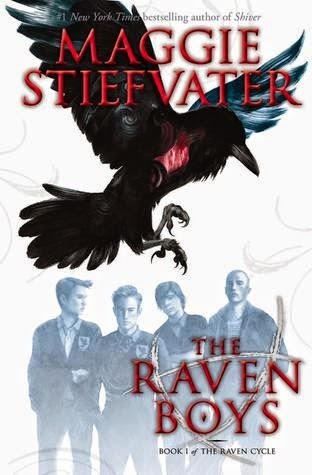 I started The Raven Boys on August 16th. I know... It is taking me so long to get through this book! I think that the fact that it is so slow paced is what's hindering me. But, I do like the story. I really like the characters. They're all incredibly dynamic and well-crafted and interesting. According to Goodreads, I am 76% done with this book. So, I'm almost there. Hopefully I'll have it finished this weekend! This month you guys are enjoying my "Generation Y Ramblings | Becoming a College Senior" post and that makes me incredibly happy because I'd never written anything semi-personal for the blog before that post. "Generation Y Ramblings" is a post series I'd like to start where I ramble about college life and my journey into the real world. If that sounds even slightly intriguing to you, I suggest you stick around! How did August treat you this year? What books did you read in August? Have you read/plan to read any of the books mentioned above? Talk to you guys in the comments! I'm over summer because I have to walk to class everyday, and by the time I get there I'm a sweaty mess. And, that's just not a good feeling. I like cold weather because I get to wear boots and sweaters and scarves and knit hats. And, I also love Christmas. I'm assuming you don't celebrate Thanksgiving, but that's pretty awesome, too. Read Shatter Me! Like, right now. I really enjoyed it more than I thought I would.